Another Beautiful Day in Paradise. The temperature was about 80 and wind out of the Southeast. 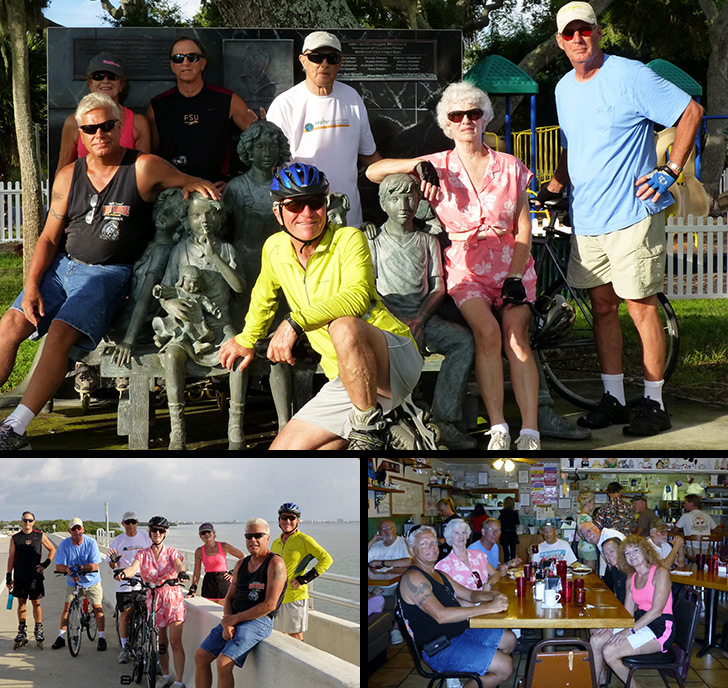 The Bladers/Bikes were Dee T, Sandy and Glenn R, John L, Jim H, Roy H, Carol J, Steve G. We were going to try heading to North Beach this time but the trail is just too rough so we did our usual Ft. Desoto route. The breeze was in our face most all the way to the end of East Beach and at our backs on the return to the Tierra Verde Ball Field. We had 3 bicyclers, 5 bladers. We Brunched at Skyway Jacks. We got in after a short wait and seated at one big table. The service was good and the coffee flowed freely. Rated the food at 9.5. The rains hit as we were eating.